Something For The Weekend: Five wedding jobs to do on a rainy day! Now I don’t mean to be all miserable and moany but it’s bank holiday weekend and it’s NOT sunny, again. So you might as well look on the bright side and get some of those wedding jobs done and dusted while you’ve got the time. It’s not all bad news there’s shopping involved! Those nice people at Apple have made it all easy now to organise your music but I still haven’t got the hang of Genius or arranging my playlists. If like me you just rely on the shuffle button now is the time to get organised. If you’re using your iPod for background music during your wedding reception then sorting your playlists will be time well spent, especially if you don’t want your Best Man selecting the Grease Megamix to accompany you on your walk down the aisle. Now this is very Grown Up. Your lovely guests will have come to your wedding, made your day perfect and very generously given you a gift. You need to say thank you and within a reasonable amount of time, i.e. before your first anniversary, for you to seem like polite and caring newlyweds. Ordering your Thank You cards and then writing the envelopes might seem overly organised but when you’re back to work and still trying to show everyone in the IT team your honeymoon tan you’ll be glad you did. Oooh this one is stressful! Nothing makes you want to go “arrggghhh” more than organising your table seating plan. If you’re at that stage and doing some wedding procrastinating then stop right there and just dive right in! Have a look at our previous post on hints and tips to make it easier. One.Less.Job.To.Do.Tick. Now this might seem obvious given the reason you’re reading this but don’t let it escape your attention. Working out what will happen on your big day should the heavens open is a good way to spend half an hour. Things like buying Bridal party umbrellas, asking your venue where your garden drinks will be held if the lawn is soggy and can the hog-roast be cooked in the rain will need to be answered. Most wedding suppliers will be ready with the perfect solution but flag it up early to make sure you are happy with the response. Check out our hints and tips on rainy day wedding photography. I promised you shopping and shopping I will give you. Herein lies permission to spend all weekend hunting for the perfect Bridal shoe. Make like Carrie Bradshaw and do your shoe research as there is lots to consider; colour, shape, vintage or modern, heel size, peep toe or slingback and that’s just for starters. Buying your shoes in advance means you can wear them around the house to rid yourself of nasty wedding day blisters and you’ll need them for your last dress fitting to get your gown length right. Buying in advance makes you a shoe smart cookie. Michael Jackson is the very talented photographer and owner of Jackson & Co Photography. You’ll just love Michael’s fun and easy going nature, which is so important if you are a couple that are slightly nervous in front of the camera. His down-to-earth and friendly approach to wedding photography is really refreshing and it helps that he’s a brilliant photographer as well. Let’s find out more…. “I’ve taken photographs since I was a kid, my Dad made me my very first camera out of wood when I was really small so it’s something that I’ve always done. I guess like so many people a hobby become a real passion and then everything else just faded away and photography was all that I wanted to do. I spent a little while travelling with my wife in California and documented our trip the whole way. Throughout that time we just talked about what we could do and how we would do it and Jackson & Co Photography started to take shape. From that moment on it became the only thing we wanted to do. “Bright, colourful and fun. There’s a huge trend right now for photographs processed in a vintage style and although I love the nostalgia of old vinyl records and film cameras in truth I don’t really care for old grainy photos. I love photos that have punch, whether that comes from gorgeous warm sunlight and vivid colours or from a couple grinning at one another from ear to ear – and that ultimately is what I am trying to achieve when I am taking your photograph. “Having your photograph taken is a daunting experience for most of my couples and they don’t know what to expect. They’re not alone, pretty much everyone does but there’ll soon have forgotten I’m even there. The camera bit is the easy bit of my job, it’s getting people to relax and enjoy is the real skill! What do wedding couples ask you first? “Usually “how long will I be there?” I’m there the whole day to capture your wedding from start to finish. Also “do I sell albums?” Absolutely. I currently provide albums by Folio and Red Tree. What tips would you give your couples to help their day run more smoothly? Planning is everything. I make sure that I go through an itinerary the week before so I know what’s happening and when. Also trying to co-ordinate guests together for group shots isn’t exactly my favourite thing in the world! They are important shots to get but unless I have someone to help me find certain friends and family it can be a bit of a guessing game who’s who! Plus it then takes far longer than it needs too. What has been your best moment as a wedding photographer? Crouching down and laying along an old wooden jetty that sticks out into Lake Garda last summer to capture one of my couples. The sun was just dipping down over the mountain and it was a really quiet and calm moment, that shot always stays with me. As it’s St Georges Day today what better way to celebrate than share with you a gorgeous English wedding. Sharon and Nigel were married last summer at the Lost Village of Dode and the red colour scheme matches the military uniforms perfectly. Thanks to the team at Howling Basset Photography for sharing the wedding with us. 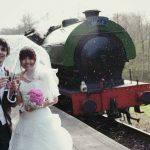 Your Kent Wedding Competition: Win The Wedding Dolls! We’re very excited today to bring you our latest wedding competition, mainly because you’re winning us! We’ve teamed up with Your Kent Wedding Magazine to offer you the chance to win The Wedding Dolls for all your wedding planning needs, by way of our fabulous wedding rescue package. The Kent Wedding team said “Organising the big day can take an incredible amount of time, and you may find it difficult to plan it all on your own. That’s why a wedding planner can help no end. We’re introducing The Wedding Dolls, aka Emma and Joanne, who advise couples on how to realise their big-day dreams. Joanne explained “Whether soon-to-be weds are in need of inspiration, are time-strapped or would like some ideas on how to keep within budget, we can help them to plan their nuptials in style. And, once the big day arrives, it’s so satisfying to see everything come together. We will meet with the lucky winning couple to review their plans and get them back on track with a bespoke schedule to follow and then three weeks before the big day we’ll meet with them again to finalise their plans and then be there on the day for 8 hours to make sure everything runs smoothly. What are you waiting for! Find out more and enter the competition here now! January is definitely a month of cutting back on the food portions here at Wedding Dolls HQ so we can fit back into our Spring wedding outfits sharpish. So if like us, you’re on any kind of enforced diet then look away now. Well actually don’t because otherwise you’ll miss the completely new and fantastic business that is Cripes It’s Crepes. Husband and wife team, Martin and Lindsey, with chef Steven, are cooking up a storm from their vintage Citroën H Van called Bertie, who helps them serve up delicious crepes in loads of fantastic flavours. There’s sweet and savoury on the menu including the lush sounding goats cheese, land cress and sweet onion chutney to my personal favourite sweet option of banana and nutella. The van is definitely a unique way to feed your guests with lots of fun thrown in. 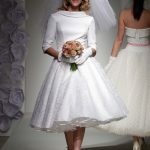 Bertie will be fantastic for barn, festival and vintage weddings. There’s a bit more info on the leaflet below or click through to their website for lots more on Bertie. To round off our series of wedding day discount posts (look out for more later this month) Steve Fuller Photography is offering an exclusive discount to The Wedding Dolls blog readers. If you book your wedding photography with him before the end of January 2013 you will receive a 10% discount off your chosen wedding package. Make sure you mention The Wedding Dolls when you book to claim your discount. Steve’s wedding packages start from £1200 and he says “first and foremost, my coverage is discreet and informal with very little in the way of prompting or posing! I love to use natural light wherever possible. Although I’m based in Tunbridge Wells, Kent, I work regularly in Sussex, Surrey, Hampshire, Essex and London and I’m more than happy to cover your day be it anywhere in the UK or abroad”. For more info about Steve and how he can work his photo magic for your wedding take a look at his full portfolio and client testimonials. Myself and Joanne were majorly excited when we happily skipped off to take a look around the Tunbridge Wells regency townhouse that is the gorgeous setting for bridal boutique, Isabella Grace. With a recent expansion the boutique is welcoming more brides than ever through their very elegant front door. Looking through the front window you get just a tantalising peek of the gorgeousness thats waiting for you inside. 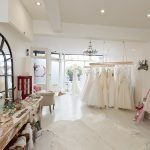 Owner, Rebecca Doyle, is no stranger to weddings as she also runs multi-award winning bridal accessory brand, Chez Bec, but had always dreamed of opening her own boutique. She told us “It is only 14 months since we opened Isabella Grace and it is hard to believe how far our and our brides’ expectations have been exceeded. We literally tripled in size within a year of opening and now have four floors with three private fitting suites, two showrooms and a separate alterations suite. 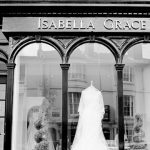 “I was delighted when one of our brides coined the phrase “The Isabella Grace Experience” to express how happy she had been with the service – it was the ultimate shopping experience for her and this was our aim from the very start. Choosing the dress you wear on your wedding day is a girl’s most important shopping decision – we not only go the extra mile, we outstrip it! Collections include Paloma Blanca, So Sassi, LM by Lusan Mangonus, Enzoani, Nicola Anne, Sophia Tolli, Martina Liana and Charlotte Balbier with prices ranging from £1000 to £2,500. We loved the ambiance, atmosphere and luxurious feel of Isabella Grace that really makes this boutique stand out from the crowd. But Brides nearly always say its the exceptional quality of customer service that means they would recommend this boutique time and time again. Go take a look – you won’t be disappointed! Fabulous photographer, Rebecca Douglas, is offering an exclusive Wedding Dolls offer for a free engagement shoot. Simply book your wedding photography with her in January or February 2013 to claim your engagement shoot. At the Wedding Dolls we think engagement shoots are a must before your wedding so you can get to know your photographer and feel more relaxed with being ‘papped’ on your big day. Rebecca tells us “Engagement shoots are just wonderful fun! It gives you both time in front of the camera, at a favourite place where you can spend some relaxed time together. It will give you time to take a stroll with me, as your photographer, so we can get to know each other a bit more. I love to build you and your story, hobbies and interests into a shoot so if you fancy doing something to incorporate this, I’d love to hear your ideas”. A great bonus of having an engagement shoot means you’ll have gorgeous images you can use for save the date cards, invites or signing boards, which the talented Rebecca can help you put together. Her offer includes a 1-2 hour shoot, a Facebook gallery of a few sneak peeks to share with your friends and family, ten 8 x 6 inch professionally printed images of your favourite shots and an online gallery where you can buy more shots if you wish. Simply mention this post when you contact her about your booking. Below are just some of her engagement shoots to give you an idea of what to expect. Your photos also come beautifully packaged when they arrive – we just love the handmade little badges! It’s about this time of year that we like to point you in the direction of Wonderful Wraps. We’ve sent many a bride their way when they start to worry about staying warm on their wedding day. 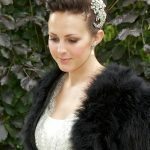 They’ve got the best selection of wraps and cloaks in wedding world so if you need a winter warmer go there first. Check out our previous post with a full selection of their gorgeous wraps.